Classically trained under legendary Spanish guitarist Pepe Romero, Takeshi Nishimoto has made his mark with minimalist solo compositions, collaborations such as the I’m Not a Gun project with John Tejada, soundtrack work, and more. Even with all this behind him, Takeshi’s latest album, Lavandula , still feels something like a fresh start. The first release on newly founded label, Sonic Pieces, the album is also a work of collaboration. 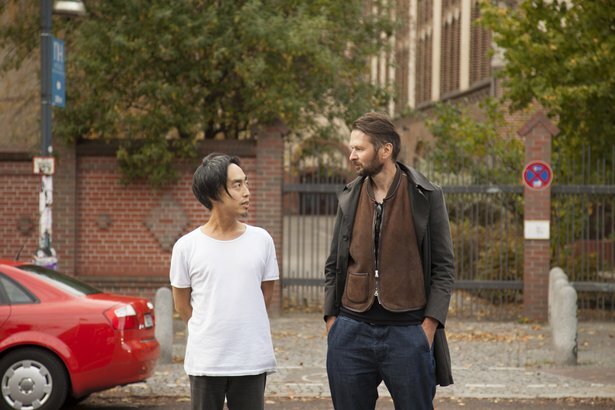 For the Lavandula sessions, Takeshi worked with Robert Lippok, himself a veteran of electroacoustic music as a founding member of To Rococo Rot and, more recently, a solo artist on the venerable Raster-Noton label. Lavandula is the work of two masters who are comfortable in their craft and with each other. It’s also a case of two musicians embracing subtle changes that ultimately stamp the record as a new exploration for both parties. 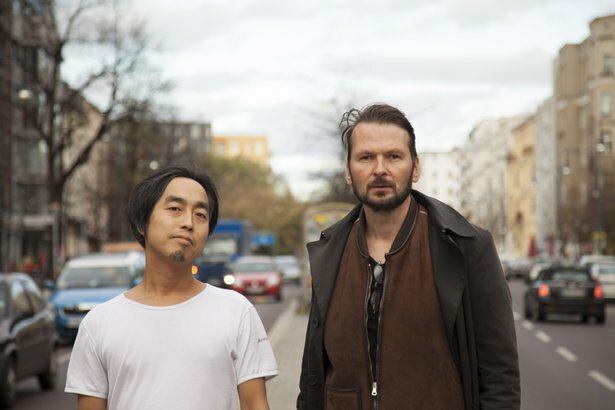 We sat down with Takeshi and Robert to discuss the making of Lavandula , improvising with acoustic instruments and electronics, and their forthcoming tour across Japan. How long have you two known each other, and how long have you been working together? Robert Lippok: For a long time I worked for Berlin-based visual artists, Nina Fischer & Maroan el Sani, and I worked on some video installations of theirs. They made a film about Narita Airport and asked me to write a soundtrack for the film. I had the idea of using a guitar on it. Takeshi Nishimoto: I was so excited to get a call from him saying “Hey you wanna do this project together?”. I was like, “Yea sure, most definitely!”. Robert: We did the Berlin premiere of the film and I invited Takeshi and my friend Beatrice Martini, who is a harp player, and we played a live soundtrack for the film. We also did the soundtrack for two other films. What was the collaborative process like for the new album? Did you work simultaneously or separately? Robert: First Takeshi asked me to be on two or three tracks. We went to the studio and started to improvise and we got more and more material. Every track sounded really nice, so I ended up on almost all of the tracks. Before that, the idea was to have me on just a few tracks, here and there. We worked simultaneously. We didn’t edit the tracks much. Takeshi: Every track was pretty much live-recorded. Improvised, live-recording. Robert: Yeah. I was inspired by my work with To Rococo Rot, and also for this italian composer, Ludovico Einaudi. I did some processing of [Ludovico’s] grand-piano playing and am quite aware of the requirements of these situations. And, of course, with Ableton live, it wasn’t hard to find the right setup for our recording. Takeshi: This is one of the reasons why I wanted Robert on my record. There’s a lot of laptop players out there, there are so many great electronic artists out there. But as far as I’m concerned, no one can really use laptops and Ableton, do live processing, like this man here. I actually asked him about this project some years ago, before the it took shape. It took a while to set some time apart and sit down and do a record together. But once we set the time, we did it in three days. Robert: Yeah. I’m pretty slow working. My first record took me ten years, so my time spans are quite big. So, some of the pieces on your debut solo album Redsuperstructure go back to To Rococo Rot? Are you guys still together? Robert: Yeah, we’ve just been in the studio and recorded some tracks with Arto Lindsay. We’ll carry on and the next record will be out in Spring ‘14. I quite like it when there’s no rush with music. When you don’t have to work fast and it’s not like “and next week is mastering”. Not only in terms of music, but also in terms of relationships. I like it when things grow slow. So maybe you end up spending more time in a pub, than together in the studio. Takeshi, you said that this was all improvised. Did you have rough sketches of where you wanted the songs to go? Takeshi: Yea, some songs I did have ideas. But, I would say that once the tape was rolling, I went into my creative mode and played what I wanted to hear. Robert, I noticed that there was a subtle quality to the electronic side of the record. Did you add any samples, and use synthesizers, or was it purely effects processing of Takeshi’s playing? Robert: It was basically all effects processing of Takeshi playing. There’s also some loops of his guitar added. I think there’s so much fantastic music out there in terms of processing piano, or processing guitar. For example, all the stuff from Christian Fennesz is just beautiful music. Or the latest from Oval. I really like this kind of rich, complex processing. But for this record, I had a different approach. I was thinking more of, let’s say, a ‘90s effects rack. What simple effects could I stack to create a certain atmosphere. A lot of the effects are from Ableton itself. Reverbs, Delays, Distortion. I used distortion a lot before reverb in the signal chain to really enrich and deepen the sound. There’s some transposition going on, but none of it very complex. All of the effects you could have bought in ‘92. The record seems to fit together very well and doesn’t feel crowded. Takeshi, was there a conscious change in your style of playing, to leave room for Robert’s electronics? Takeshi: The first thing that comes to mind is that I had a huge amount of trust in him, so I didn’t worry about what he would do. I had a dozen reasons to have him on this record: some of them are that I really wanted to feature him; to really change my sound. Because of the trust I have in him, I was never really cautious about leaving room for him or not. I just played my music and knew that he was going to do something. And did you do anything with the effects yourself, either with Ableton or with outboard? Takeshi: Yes, on some of the tracks. “6/8” I think I used a loop. And on “Straßenlaterne” I used my Boomerang pedal. Other than that, I think all the tracks have just been played through all the way, with Robert adding effects. Pretty much all the tracks were done in one take. Except the second track, where I play my acoustic guitar. On that, I did try a few takes. Robert, did you have a Live template set up for each track, or did you change it? Robert: No, I started with a simple effects rack and from then on it was a bit like playing Lego. On every new track I added certain effects and I took certain effects out. Like I mentioned before, the session had a core sound and for each new session I took that core into a new direction. Say, for example, the first session was just about reverb, then the second session would also be about distortion, delay, and pitch transposition. So it’s like a growing tree. The sessions had a main theme and would grow with each session, into a new direction. And the Live set would grow along with it, from that first starting point. And for you Takeshi, was it a similar setup for each track? Takeshi: When I had the acoustic guitar we would have a mic set up. When I used electric I would D.I. straight into the studios pre-amp. On the last day we had a mix. So yeah, I would say I had a different set up every time. You’re about to take the album on tour, to Japan for a total of 8 dates. Can you talk about the set? Takeshi: Very early, the day before the release concert, we had a rehearsal and we realized that it’s not possible to reproduce the record a hundred percent. Because of that I thought to approach the live set as a remix of the record. On one of the tracks it seemed just impossible to sync the pulse and the loop in a live set. So we approached this track as a remix. And this idea carried on through and we applied it to a concert. Robert: Also, taking it on stage was a process of improvising. So we improvised with material, effects and melodies we already had. And, like Takeshi said, we found that, some of the tracks, even though we could have found a way to sync the material, and manage technically, didn’t feel the same way live, as they did on the record. We felt that they needed some sort of a different feel, so we transformed some of tracks for a live presentation. They’re basically versions of the tracks from the CD. In the live set, does all the sound come from Takeshi’s guitar, or are you also triggering loops, Robert? Robert: I trigger one loop, I think. But we’ve also done a new track, and some drum sounds (from Tension I think) will be used here and there. Takeshi: He’s also sampling my sounds live, on-the-fly. So the set-up is that you’ve got your guitar and your pedals, Takeshi, and you’re on Live, Robert? Are you using any other controllers or instruments with that? Robert: Push, of course! This is another thing that I like about Live: you can always think of a different set-up, and I change my set-up all the time. I drive my colleagues crazy. Every time it’s something new, or something different and they’re like: “Robert what’s this? What’s this?”. So this time I thought it would be nice just to have Push. And maybe some percussive instrument besides. I’m not sure what I will take with me to Japan yet, but it will be a really small set-up. At the moment I’m not using a laptop. I use a Mac Mini with a tiny 10” screen which is super impractical. But also sort of fun, because it looks obscure. I’m going to use the Mac Mini, Live, Push and the direct feed from Takeshi’s pre-amp. Takeshi and Robert are touring Japan from November 5 - 30. Learn more at the tour schedule.